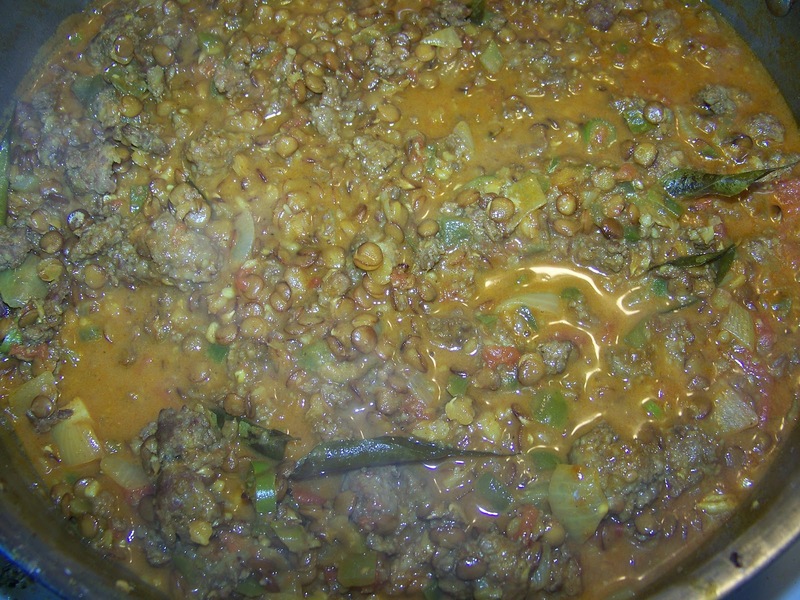 Note: Do not use a lentils that will fall apart or become mushy. The brown lentils keep their shape well after the cooking process. Brown the sausage in a large pan. If you need to drain any excess oil out of the sausage do so. 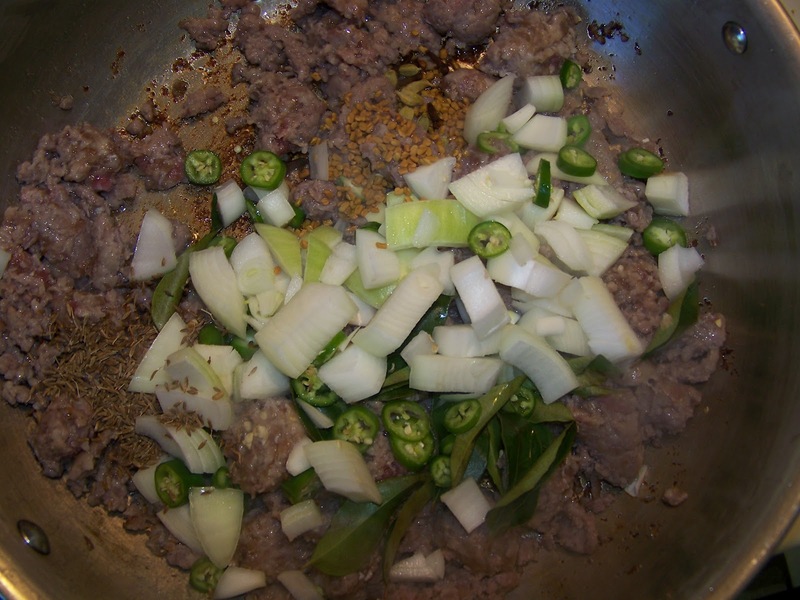 My sausage was pretty lean and the I used the rendered fat to cook the onions, green chilies, curry leaves, fennugreek seeds and cumin seeds for 2-3 minutes. 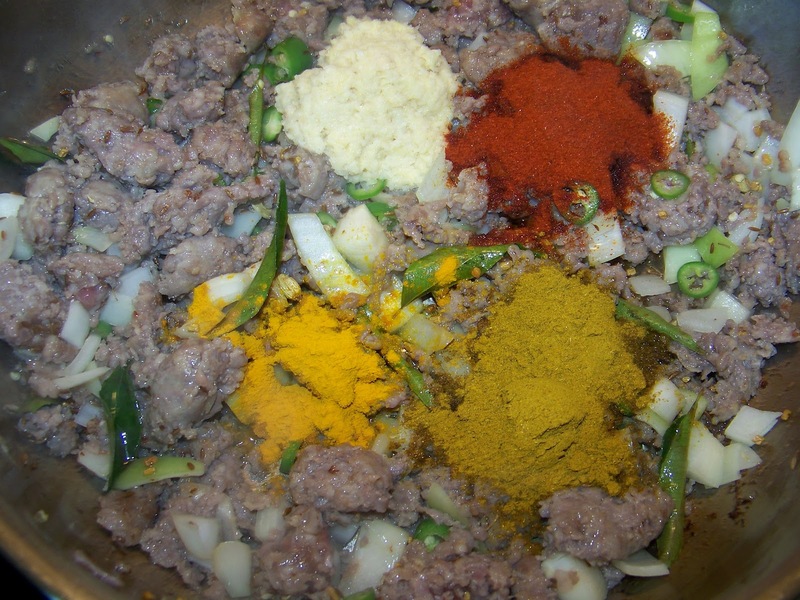 Then add the ginger/garlic paste, curry powder, turmeric powder, salt, black pepper and chili powder. Saute for 1-2 minutes. 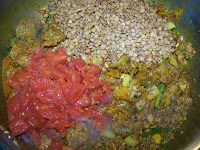 Then add the rinsed brown lentils, can of diced tomatoes and 4-5 cups of water. 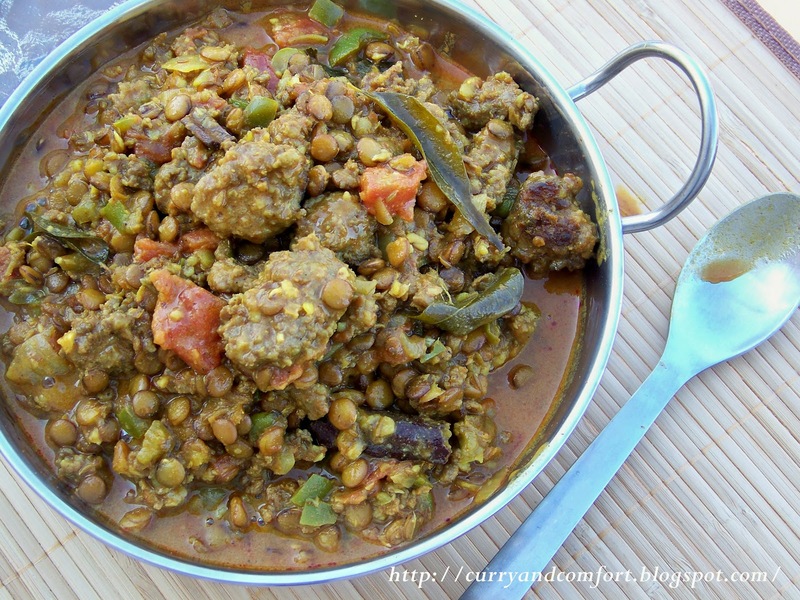 Cook for 20-30 minutes on medium-high eat until the lentils are tender. Most of the water should have cooked out. 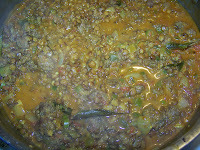 Note: if you need more water while cooking the lentils add as needed. Once the lentils are cooked add 1 cup of coconut milk and simmer for another few minutes. Taste for salt and seasoning. Then turn stove off and finish off with a squeeze of lime juice. Eat with rice, roti etc.. Enjoy. 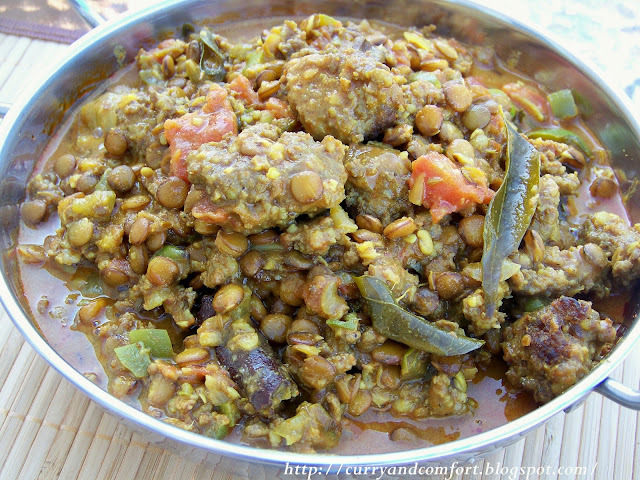 Yummy curry...you could also try this with chorizos! I could certainly go for a lunch like this! Looks delicious, Ramona! Have a great weekend, my friend! Hugs! 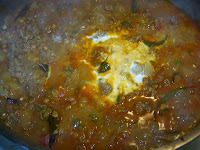 Hi Ramona, I have never made curried lentils, I always make it the Italian way with bay leaf and tomatoes. 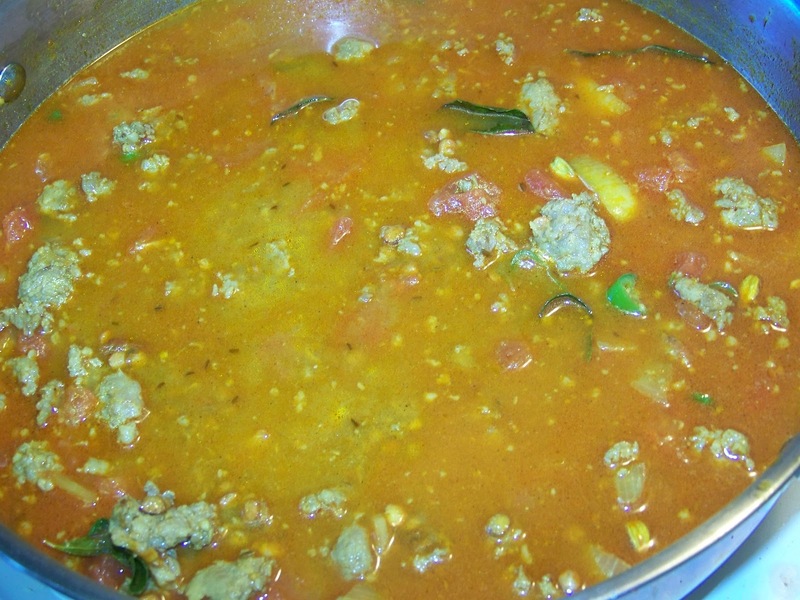 I am going to curry the lentils the next time and use the curry leaves. The only problem now are the fennugreek seeds. Can I substiture mustard seed? Have a great day. Anything with sausage is good! 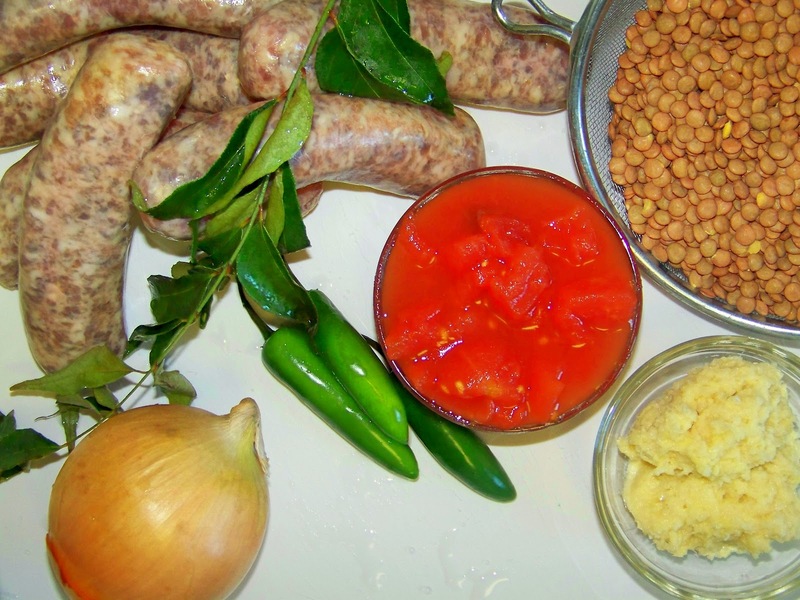 I can only imagine how good is curry with sausage! I love those chunks of sausage. And you have a who's who list of spices here. The smell alone would make me swoon. Have I told you lately how great your pictures are? Yum, sausages! 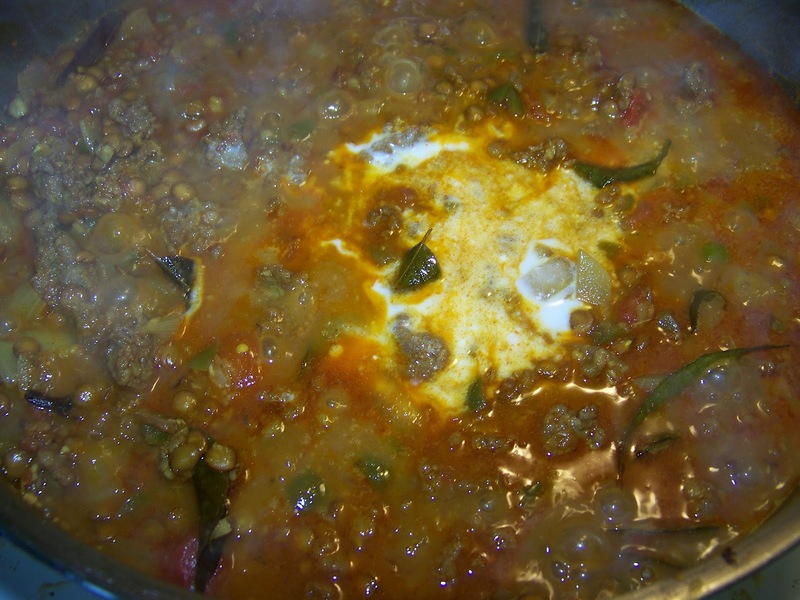 Great idea and recipe! You have to love a one pot meal. This looks so hearty and delicious! This recipe serves how many? Sounds great - going to make it! Thanks! Delicious! When is the cinnamon stick added? I've made this before but I don't remember! Thanks!